AURORA | The Aurora high school dean who police say brought a gun to school and made threats to staff is back in jail, and the principal he threatened has been put on leave amid criticism of how Aurora Public Schools responded to the incident. 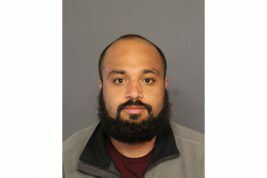 Tushar Rae, 30, a school dean at Aurora West Preparatory Academy, is being held in Denver County Jail in lieu of $75,000 bond, according to Denver jail records. Details show new accusations of false imprisonment prompted the arrest on Friday night. The Denver Channel first reported the re-arrest after Denver Police said the new charges are unrelated to the April 2 gun incident in Aurora. Rae was held on $200,000 bond until last Wednesday in connection with the Aurora West allegations. Meanwhile, Aurora West Principal Taisiya Tselolikhin was placed on paid last week leave while district officials look for an interim replacement, according to APS. Also, students posted a video on YouTube depicting protests at the school after the incident. Students were angry about Superintendent Rico Munn’s decision not to reveal the nature of the threat to school staff for more than a day after it occurred. 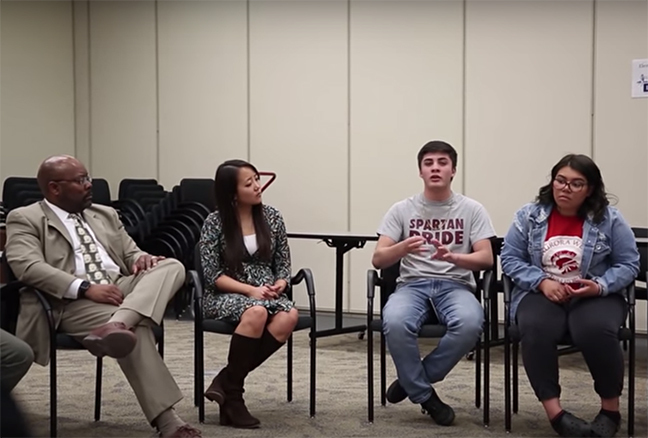 “What often happens as you’re making decisions, where you later find out it doesn’t make sense or it wasn’t the right decision, then you’re always going back and processing: Did you make the right decision?” Munn told students in the video, referring to what he called tension between a sensitive police investigation and the community’s need to know about violent threats in the school. The controversy started almost two weeks ago when Rae threatened Tselolikhin with a loaded gun. The confrontation occurred after complaints by Rae about student testing practices, according to an arrest affidavit. APS spokesperson Corey Christiansen said there is no specific time frame for how long Tselolikhin will be on administrative leave because of an ongoing police investigation into the incident. He said the investigation has made it difficult for the district to answer questions about Tselolikhin’s response and why district officials delayed telling students and parents what had occurred. 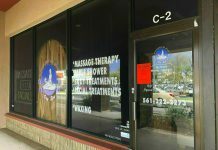 Tselolikhin is at the center of confusion over the series of events following her meeting with Rae in his Aurora West office, where he took a handgun from his waistband and threatened to kill staff members and shoot them in the knees, according to her statements in a police affidavit obtained by The Sentinel last week. Rae then left the school, which Tselolikhin placed on lockdown. Aurora Police Department officers later reached Rae by phone at his Denver home. He was later arrested by Denver police but posted bail so quickly that Aurora police did not have time to place a restraining order between him and the specific staff members he threatened, according to the affidavit. Aurora police then attempted to locate him, and he was booked into jail once again. He remained in Denver jail until April 10, according to police. He was arrested and jailed Friday evening, this time on the unrelated kidnapping charges, according to jail records. The crux of the criticism surrounds the school district and police not informing the school community and public about what specifically happened for more than a day after the gun threats were made in the school April 2. Aurora police and APS officials simply said then that there was an armed individual in the area but police had not found a threat. APS officials have said in the aftermath of the incident that they could not give more information to school students and families for fear of revealing sensitive details about the police investigation, but that school safety is a top priority for them. Munn expanded on that argument when confronted last week by angry West students, who walked out of their classrooms for a question-and-answer session. The students said in a lengthy YouTube video that they and their teachers could still have been at risk when Rae was at large that Wednesday night, and that district silence on the matter was an uncalled for risk. According to the affidavit, Rae’s confrontation with Tselolikhin was interrupted by two students who knocked at the door. Another student claimed in the YouTube video that Rae talked and joked with students before he left the school. 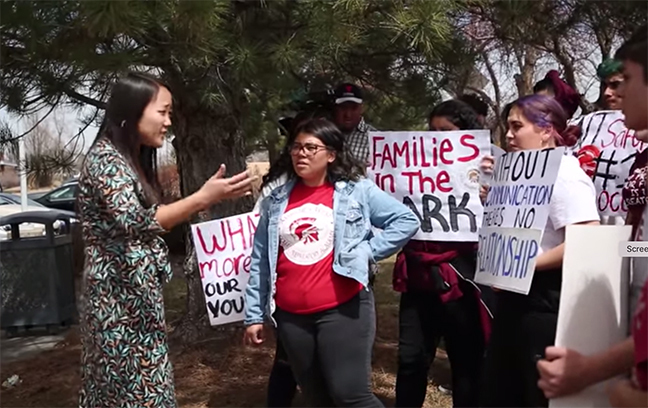 “There’s still a lot about the events that … we don’t have confirmed information about, and other things about the events that we take a backseat to the police investigation,” Munn told students then, as shown in the YouTube video. He added that media reports can be based on conjecture and rumors, not facts, whereas the district sticks to what it certainly knows and gives that information to the community. “We tend to be a bit slower in our communication than the media is,” he said. Students raised the question of why the district did not communicate the actual nature of the threat to the community when Tselolikihn was the victim of the violence, personally put the school on lockdown and gave the original testimony in the APD investigation. The students were unsatisfied with Munn’s explanation and persisted. “You can’t keep dodging questions that I am throwing at you,” another student told Munn.